Have you started to decorate for Easter? This weekend I pulled out my Easter boxes and got a good start. After the cold winter we’ve had, it’s nice to make the house look like spring even if it is not quite warm outside. 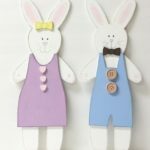 Even though I have boxes of Easter things, I still enjoy making new things to use for my Easter decorating. 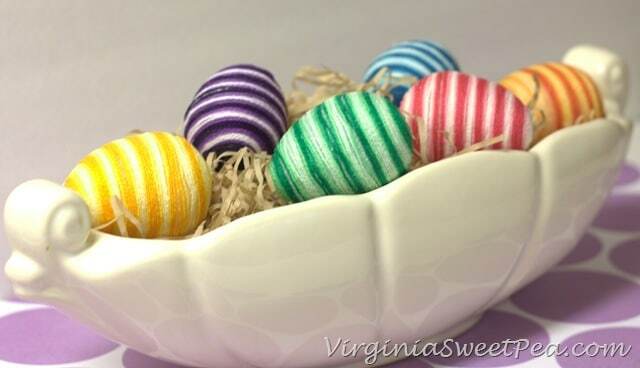 This weekend I made striped Easter eggs using Styrofoam eggs and friendship bracelet string that my friend Suzanne found while thrift shopping. I love having friends who keep their eye open for supplies for me! 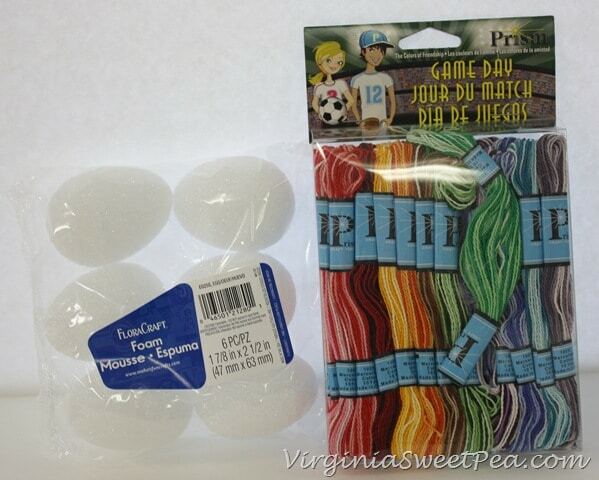 One package of friendship bracelet string made exactly one egg. It was like this string was meant for my project! I started by applying a generous amount of Mod Podge to one end of the egg with a small paint brush. 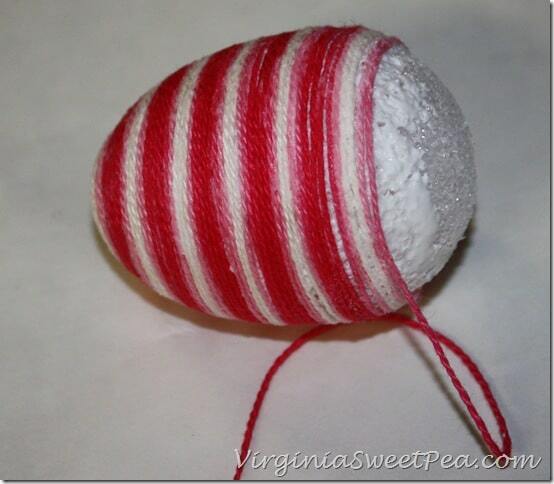 Press the end of the floss into the egg just a bit and wind the string around the starting point. 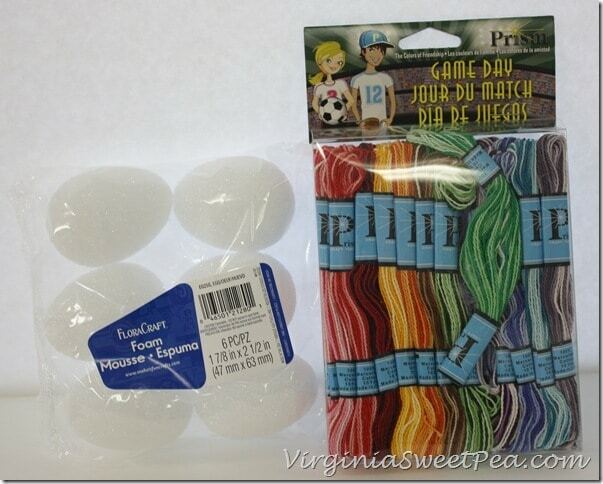 After winding the string for a few turns, use the paint brush to coat the string in Mod Podge. This will help it to stay in play and will seal it to the egg. Continue to brush Mod Podge onto the egg and to wind the string around and around. 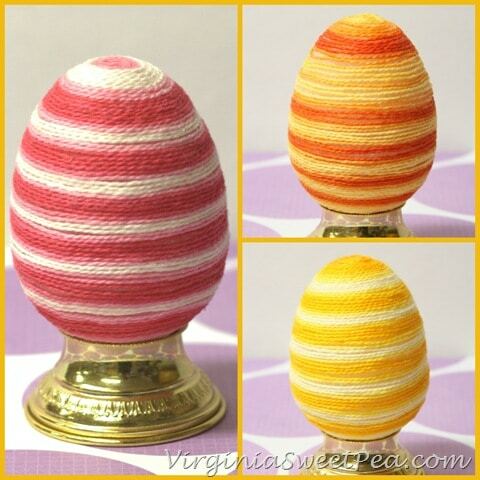 The friendship bracelet string creates a striped Easter egg! 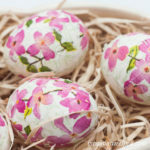 Allow the eggs to completely dry before using them for decorating. 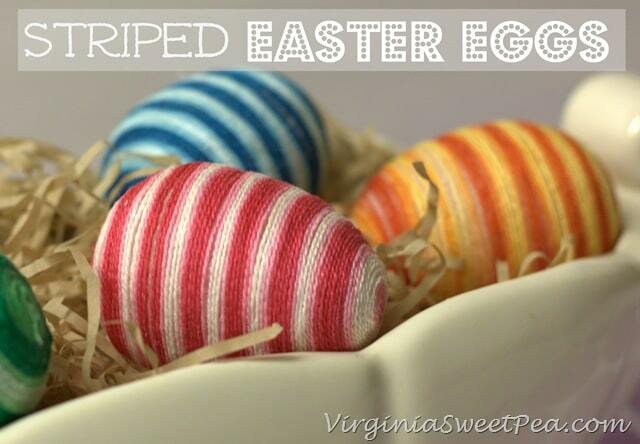 I nestled my striped Easter eggs into an antique McCoy planter filled with shredded brown tissue paper. 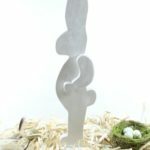 I love this brown filler for Easter decorating. 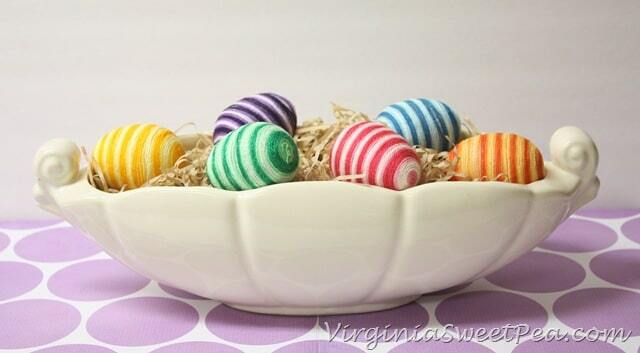 Not only do these striped Easter eggs look pretty in a bowl, they also look nice displayed individually. I’m so glad that Suzanne thought of me when she saw this package of friendship bracelet string at one of our favorite thrift shops! 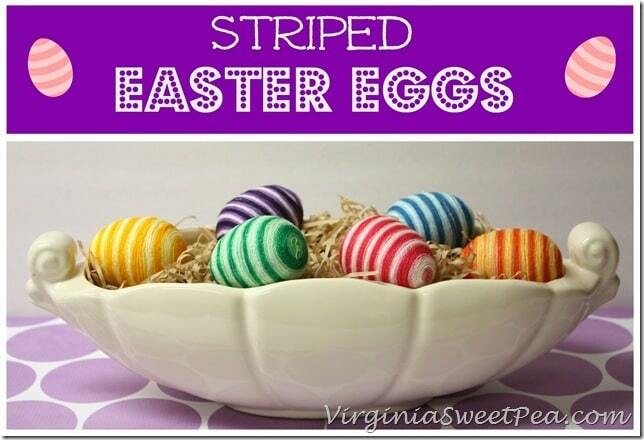 I’m sure to enjoy using my new striped Easter eggs for many years to come. 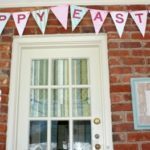 Have you decorated for Easter? How awesome! 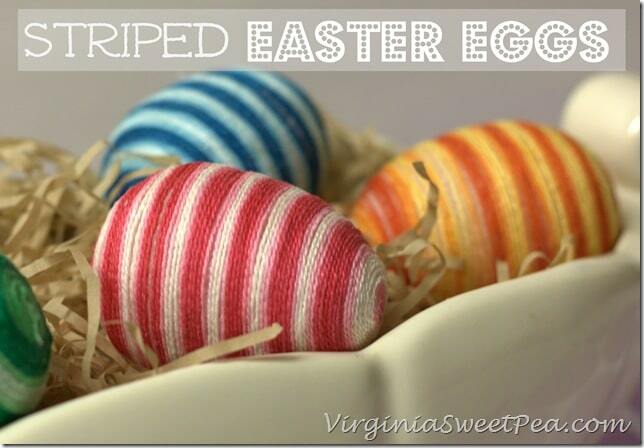 Love the different colors and stripes. Thank you, Audra! I was glad to think of a fun use for the friendship bracelet string. Hi Paula! 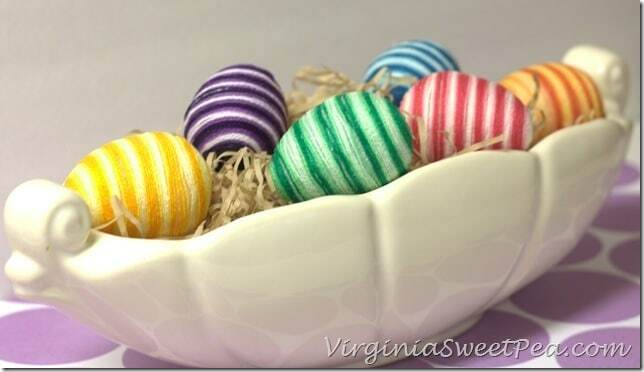 I love the striped eggs and they look so pretty in the bowl. 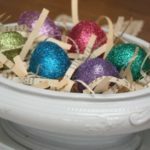 I just made some sequined eggs and now I want to add some striped ones, too! 🙂 Pinning! Hope you have a happy Tuesday! What a great decoration! Thanks for the tutorial and great idea. These are beautiful! These are really neat. I love all of the colors. You must have a lot of patience. I know you do or you wouldn’t be a teacher. I haven’t started decorating yet. I just got home from my trip tonight and I am so tired. Those eggs are adorable!! Love that string you used. awesome Easter eggs! Love the stripes Paula! 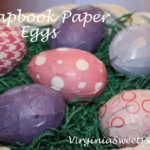 These are very cute, love that you can reuse them each year. So many possibilities, thanks for sharing. Thank you, Sarah. I know I’ll enjoy using them for many years. These are fabulous! You do great work. 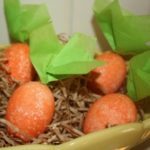 If you have not shared your lovely eggs yet at the Bacon Time linky, please do. These are too stinkin cute! And Easy!! 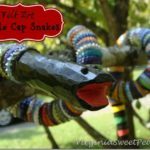 Thanks for sharing on DIY Sunday Showcase! Thanks, Shelly! I was so happy to think of a new use for the friendship bracelet string that I had on hand. Great idea. My Mom did something similar when I as little. 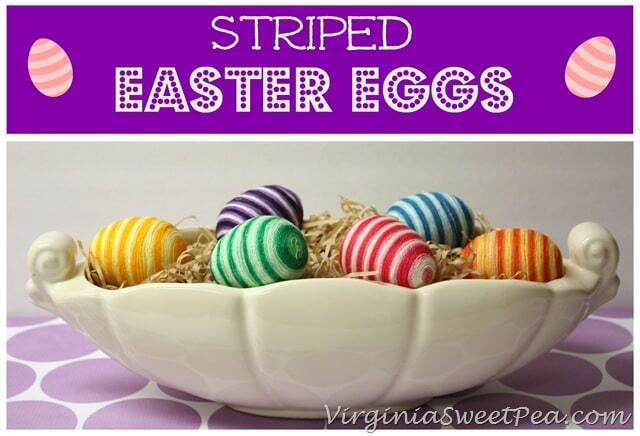 I love your striped eggs . Very creative and adorable. Thanks for sharing. I love this idea so much! They are so fresh and bright and modern – which is my favorite style. How fun your friend kept an eye out for supplies for you! What a great idea! These are so pretty! I love them. Sharing!